The gym isn’t called the gym — it’s “Re:charge.” The breakfast bar is Re:fuel. The indoor pool is called the Splash. And the lobby, the center of all the action at the Aloft hotel, home of both the check-in desk and the W XYZ Bar, is referred to only as Re:mix. 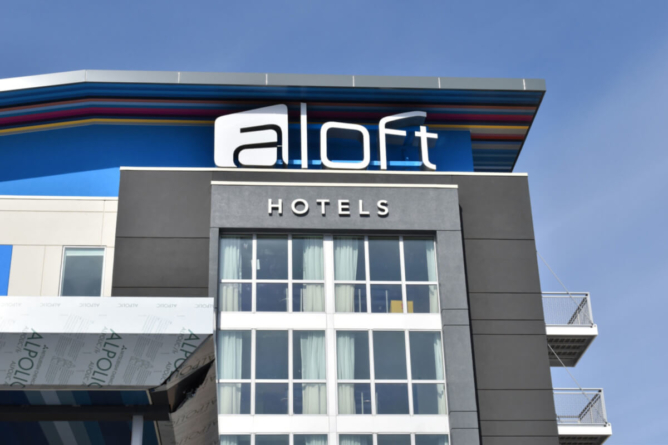 The Aloft, a brand by Marriott, is described on its website as “[catering] to today’s modern traveler who craves jet-setting style and a vibrant social scene at an affordable price.” Its philosophy is that it is “different by design,” and what makes it different is more than the quirky names it uses for its amenities. 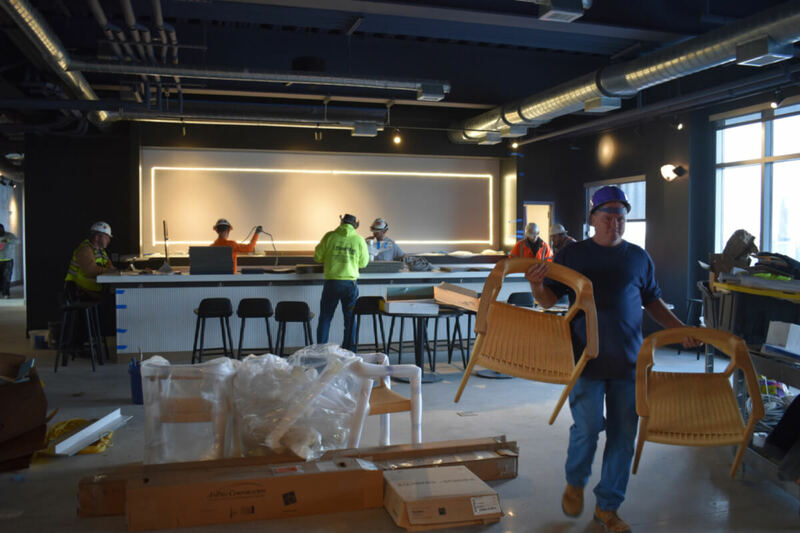 The design itself is modern, industrial and urban-inspired — most U.S. Alofts are located near airports and in city centers — and the hotel also stands out for its focus on live entertainment and b&f (that’s beverage & food, with the ‘beverage’ part taking precedence in Ocean City). 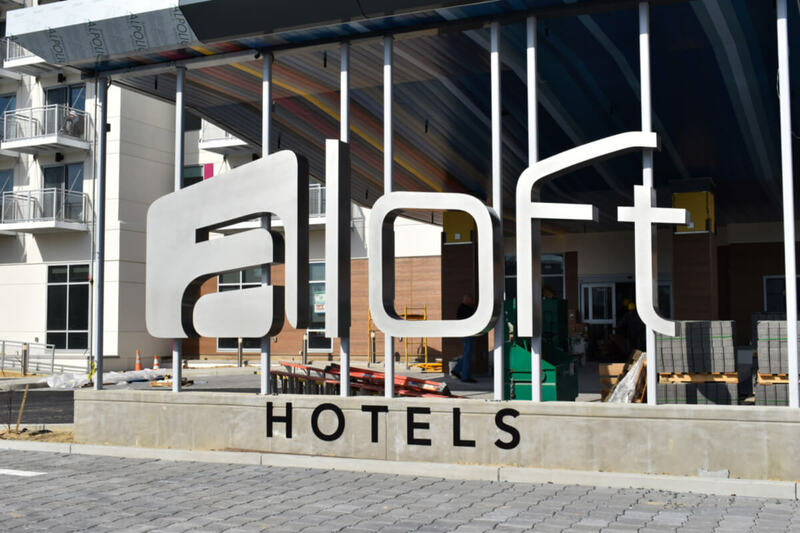 Nevermind the construction: Aloft will open in May of 2019. 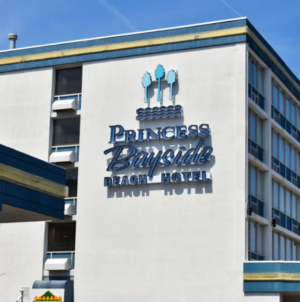 The hotel’s modern, industrial look is a relatively new concept in Ocean City, where beach-themed beachfront hotels still reign supreme. 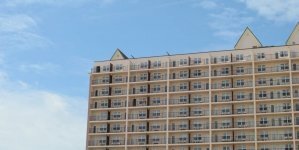 Most Aloft hotels are concentrated in urban areas, and while the new Ocean City location does maintain the brand’s trademark urban design and feel, Aloft Ocean City is the first resort Aloft in the United States. That’s not an indoor pool: It’s the “Splash”! Walking into Re:mix, she said, is like walking into your living room. While the hotel is still under construction and won’t be open until May 2 (people can now make reservations online for dates starting after May 13), there is already a very definite sleek and contemporary aesthetic that shines through despite the plastic furniture covers and the sound of jackhammers. Hard work underway at the W XYZ Bar in Re:mix. There’s black-and-white wallpaper with zig-zagging designs; geometric light fixtures hanging from the ceiling; and pops of color delivered in wall decals, bright, striped rugs and orange pool chairs, all designed to catch the eye of the guest from the moment they walk into Re:mix to whenever they finally make their way to a room on the second, third or fourth floor (the first is reserved for guest accommodations and banquet space). A look inside a 2nd floor guest room at Aloft. 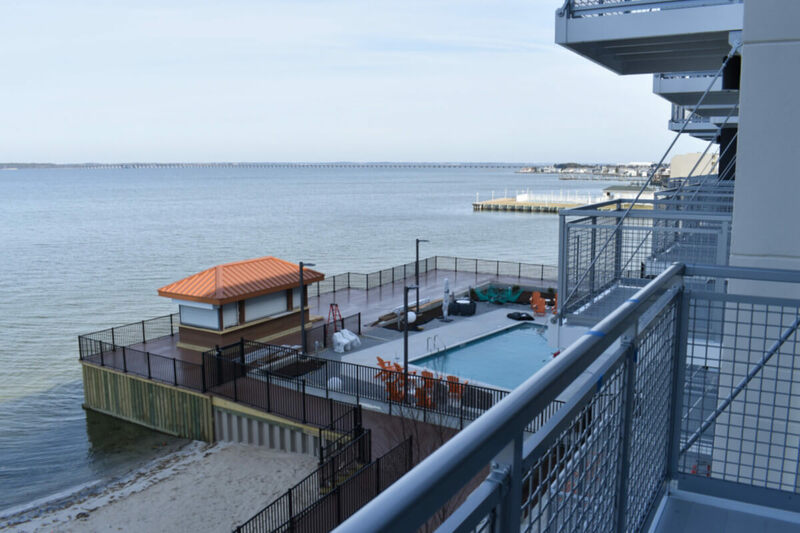 But even more eye-catching than its design is the view: Balconies and west-facing windows give way to the picturesque Isle of Wight Bay, which the outdoor pool practically blends right into. A tiny, private beach makes the perfect spot for catching a sunset over the horizon on a summer evening, and from east-facing balconies on the other side of the hotel, you can see clear across Coastal Highway to a sliver of beach between buildings. 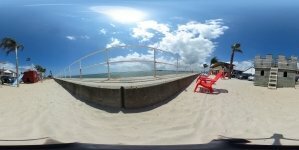 A view of the pool and the Isle of Wight Bay from an Aloft balcony. 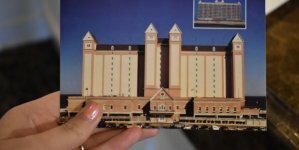 The guests, when they’re not taking in the views on either side of the hotel or navigating the beach and boardwalk this summer, will want to spend most of their time in Re:mix. Aloft creates a home-away-from-home atmosphere in Re:mix, the common area, where all the amenities of a burgeoning, young community are concentrated in one public space. The hope, Akcam said, is that guests will come together to enjoy the live entertainment, play a game of pool, and connect over a drink at the W XYZ Bar. 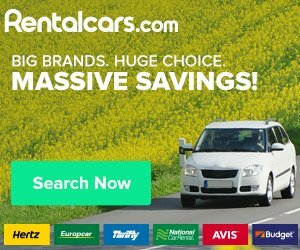 That includes guests of every age and from every walk of life. 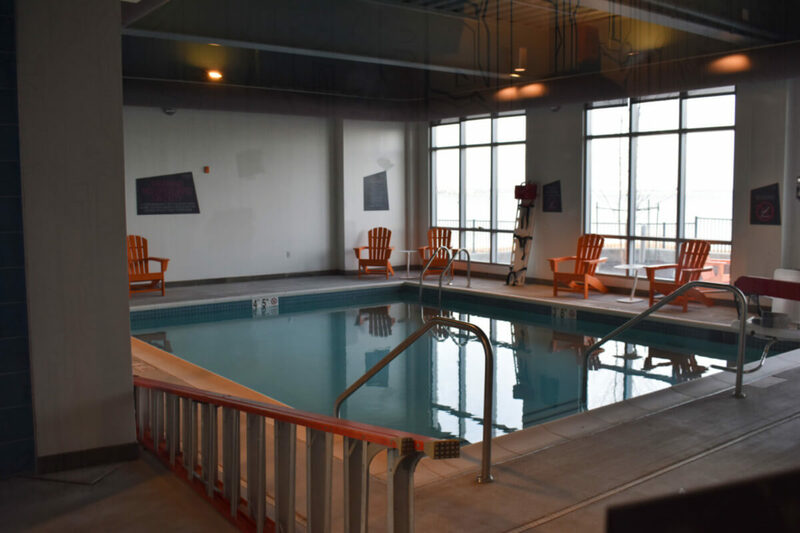 While the Aloft brand is largely aimed at the professional millennial, Akcam thinks that this Ocean City location will attract young singles and families alike. This article was updated on 3/26/19. 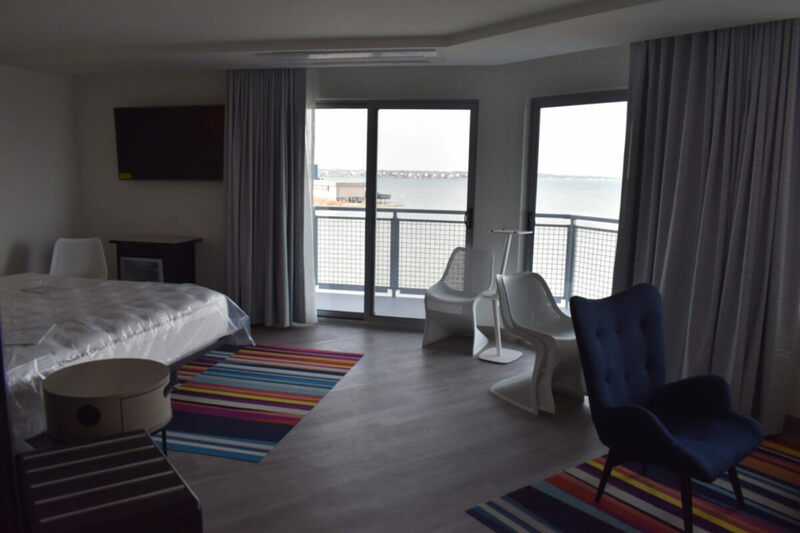 Aloft Ocean City is a brand new waterfront hotel overlooking the beautiful Isle of Wight Bay in Midtown Ocean City. The rooms are bright and airy with private balconies, and there’s walk-in showers with rainfall showerheads and personal Bliss Spa shower amenities.